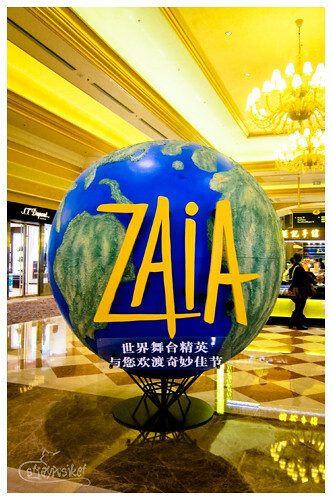 Our last itinerary for that night was to visit the two big casinos in Taipa Island – The Venetian Macao and City of Dreams. 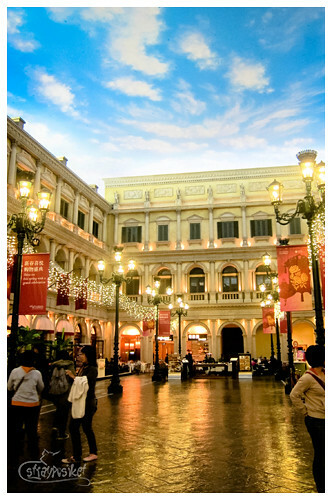 One of the best things about Macau is that you can get to almost all the casinos without spending much on transportation. 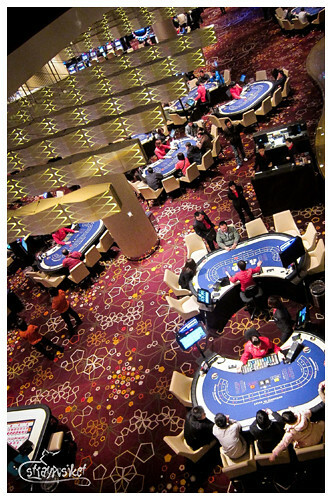 Casinos, especially the big ones provide free shuttles which are stationed at the ferry terminal, airport and Zhuhai border. 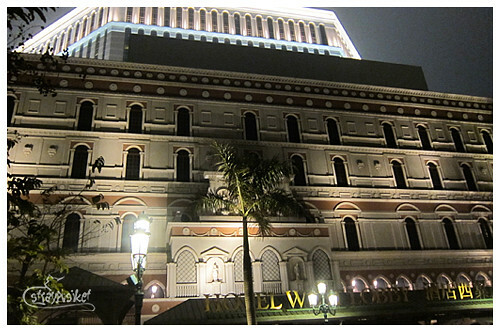 From Senado Square, we boarded the bus no. 3 to the ferry terminal. There are other buses that ply that route like bus 3a and bus 10. 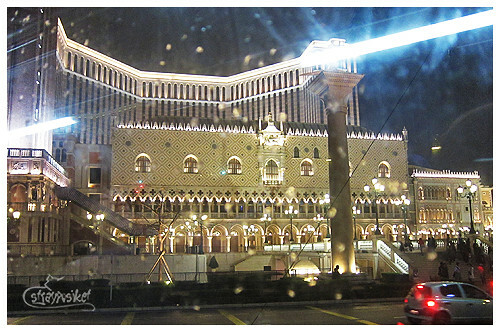 Always prepare exact fare when boarding the bus as drivers don’t provide change.Upon arriving at the ferry terminal, we went directly to the Venetian coach bay area and boarded the next available bus. 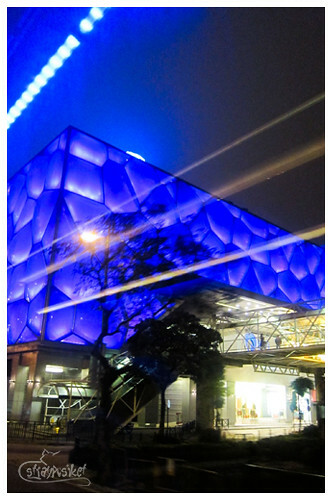 We passed by Casino Oceanus, patterned after the water cube in Beijing. It changes color from time to time but I was only able to capture it in blue. 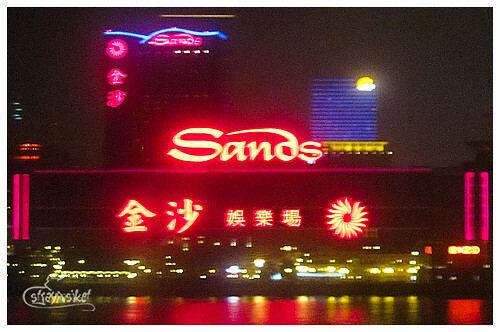 I took a quick shot of the Sands Casino as we cross one of the bridges linking the Macau Peninsula and Taipa Island. 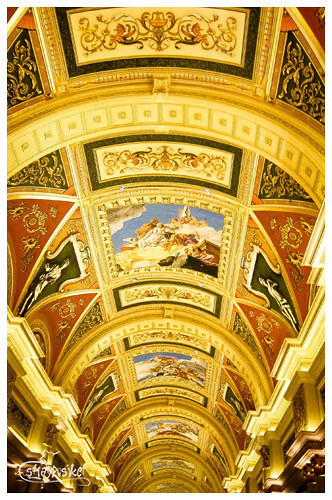 We were dropped at the Venetian Hotel West Lobby. 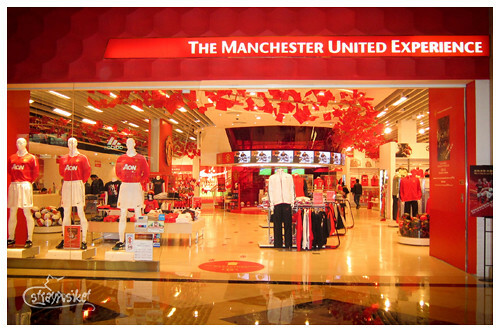 Paid a visit to one of my fave stores in the world — the Manchester United Experience. Bought a Manchester United Jersey for our friend, Daks and have it customized. 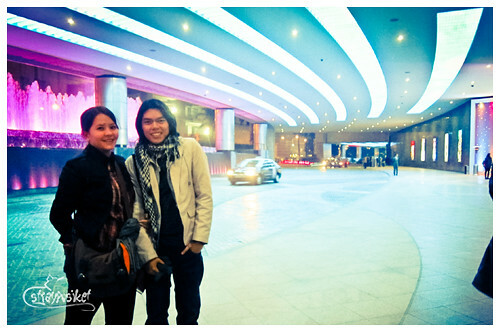 After an hour of window shopping, we walked back to the west lobby to take the free shuttle to the City of Dreams. 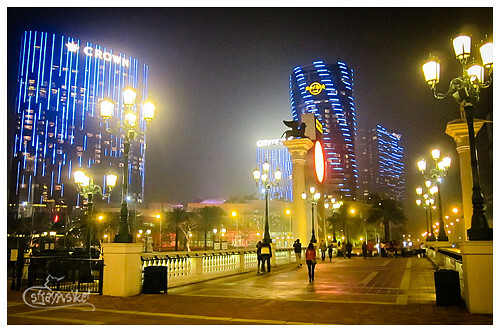 The City of Dreams is an integrated resort which was opened in 2009. 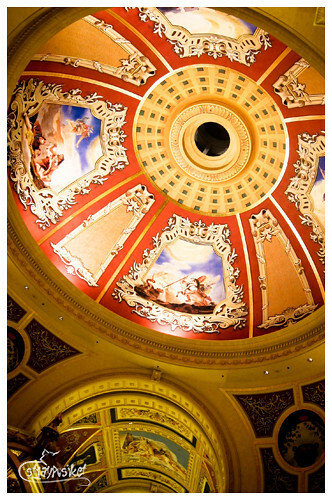 3 major hotels are found in the complex: Hard Rock Hotel, Crown Towers, and Grand Hyatt. 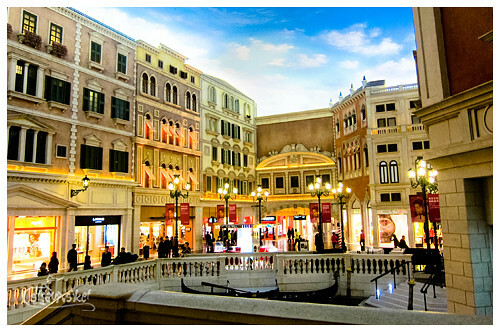 It is located just across the street from the Venetian Macau. 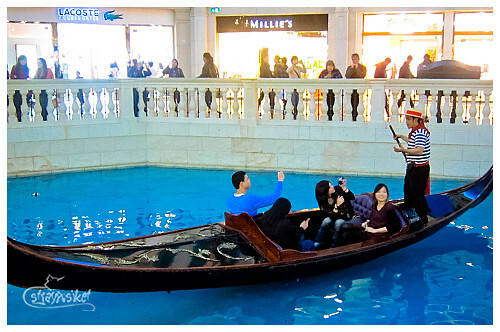 We later found out that it's just a short walk from the Venetian Hotel if you pass through the main entrance. Nagshuttle pa talaga eh no? 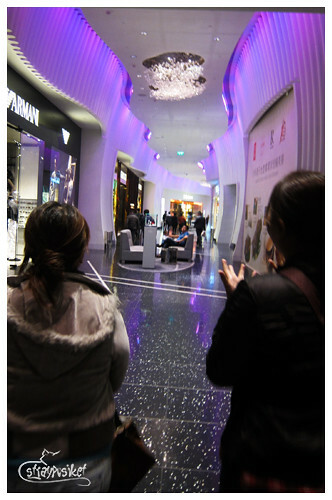 We went inside and found this virtual aquarium at the lobby. 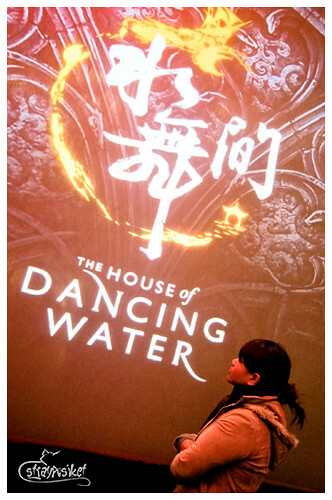 The House of Dancing Water is HK$2 Billion water dance show. 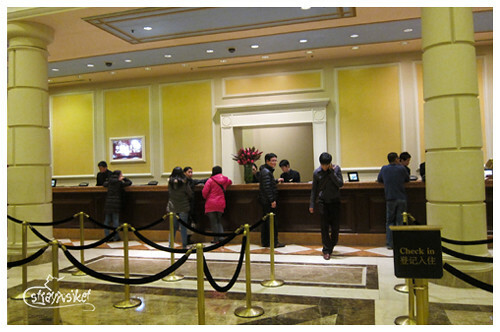 Ticket prices range from 480HKD-1080HKD. 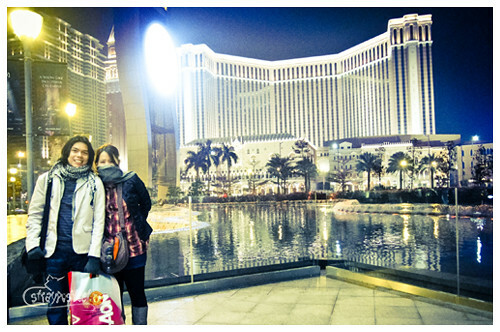 I would really love to watch this show when I had the chance to go back to Macau. 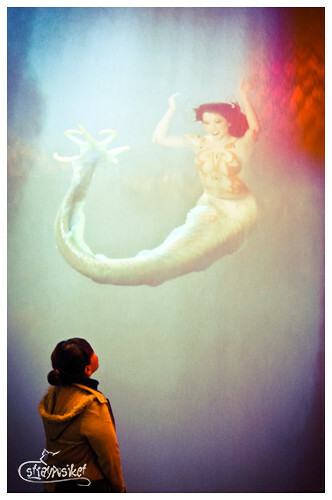 For more info visit: http://www.thehouseofdancingwater.com. 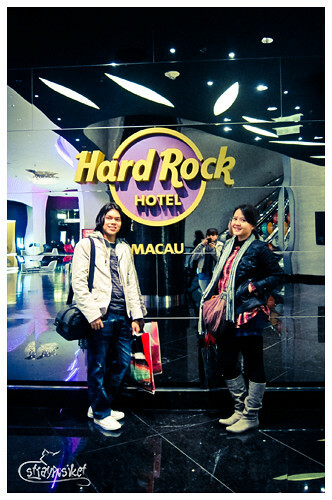 Our main purpose of going to the Hard Rock Hotel was of course to add another shirt to D's collection. 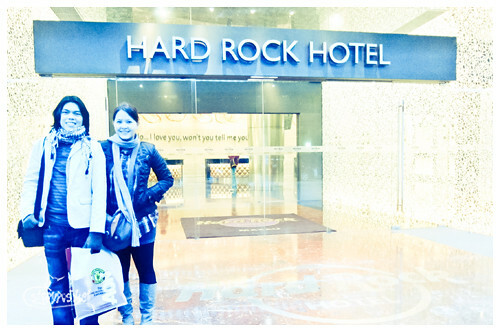 Hard Rock Hotel Entrance. Naging Avatar namin kami sa lighting. 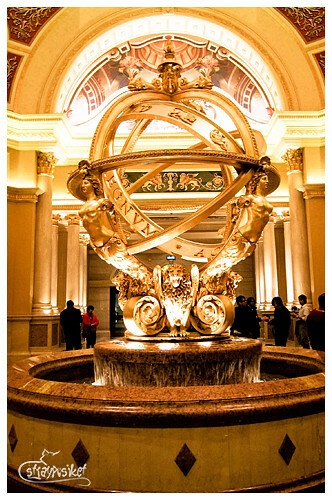 ... and made our way to the west lobby to take the free shuttle back to Macau.